Therapeutic massage improves your quality of life by lowering stress, treating muscle aches and muscle-related conditions, and restoring flexibility. 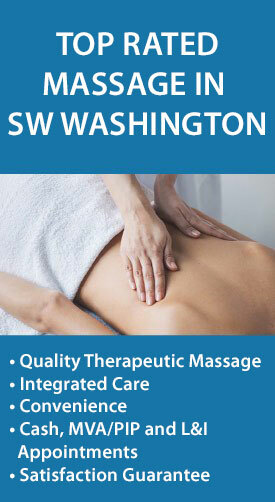 Conveniently located two miles east of Downtown Camas on 3rd Ave, Dreamclinic’s goal is to make quality massage therapy easily accessible for busy people, athletes of all ages and those injured in auto and workplace accidents.from across SW Washington. Book in conjunction with your physical therapy appointment or as a massage treatment alone. Our highly trained and caring professionals deliver a truly therapeutic experience every time, guaranteed. Use the promo code is Holiday8 to save $8 on your 60- or 90-minute service. Convenience –Make life simple with your best treatment team under one roof for sports massage, motor vehicle accident/PIP injury recovery and restorative massage. Go to https://taicamas.fullslate.com/, and choose the appointment slot you’d like. Taking a minute to register first saves time later.